My takeaway from the music of 2012? Indies rule. In a major way. Great music and original sounds are what happen when the confines of the corporate world fall away, and last year was a shining example of that. From artists who have lived their creative lives in the independent realm, to major label artists crossing over to taste the freedom themselves. What follows are my personal favorites of the past year—the majority of which are independent releases—that I loved as much on the first listen as I still do after constant rotations in my car, kitchen and living room. Enjoy—and let me know which ones were your favorites of 2012! In a career filled with outstanding albums, Slipstream may be Bonnie Raitt’s greatest one yet. As always, she has unearthed song gems, polished them with a voice that gets warmer and more moving with time, and delivers each one with the best musicianship and production on the planet. This also marks Bonnie’s first album on her own label, and it should be a case study in how to do it right: put together a winning team, connect with fans, honor the music, and spread gratitude, goodwill and integrity every step of the way. 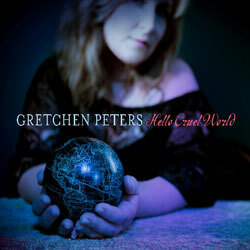 Gretchen Peters is one of the finest songwriters of any genre, and that fact is on full display on Hello Cruel World. There’s not a wasted word or missed note, and the visuals she paints lyrically and melodically are astounding. With hits for artists like Trisha Yearwood (“On A Bus To St. Cloud”) and Martina McBride (“Independence Day”) to her credit, it’s in her own voice where you’ll find the true, beating heart of her songs. This is Mary Chapin’s best album. Ever. It’s spare, honest, absolutely moving, and showcases her brilliance in a soft, smoky spotlight. The collection chronicles grief and loss, and leads us to healing and renewal. She’s the perfect guide for such a personal journey, even bringing James Taylor along for part of the ride. Don’t miss this one … it’s perfection. This was the understated surprise of the year, and one of my favorite releases of all time. It’s quirky and smart and such a delight to listen to. 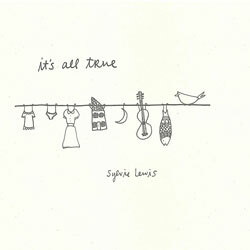 Produced by Richard Swift (The Shins), It’s All True features the sultry songstress alongside renowned writing partners and special guests such as Gary Go, Sondre Lerche, Don Henry, and Pasquale Catalano. Grammy-nominated Dave Barnes, who penned the Blake Shelton hit “God Gave Me You,” is one of Nashville’s favorite songwriters and artists. He took Stories to Tell to L.A. to record, which also took him out of his comfort zone and gave us some of his most personal work to date. A great writer, musician and vocalist, Dave is a bona fide triple threat. But go on and make it a quadruple: He’s also a great guy. 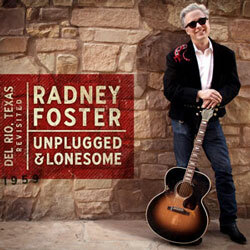 Radney Foster takes us back 20 years and reinvents one of the best country records ever made: Del Rio Texas, 1959 … this time live and unplugged. A hit songwriter who can craft a perfect tune with a memorable chorus like nobody’s business, he also delivers with mastery. I don’t think I’ll ever get tired of singing along to this CD. I’ve been a fan of John Mayer’s music since his first release, Room for Squares. After forays into other styles with subsequent albums, Born and Raised feels like he came full circle and picked up where Squares left off. The album didn’t get as much coverage as it should have since Mayer had to cancel his tour and have throat surgery after the release. Meanwhile, it’s been great to have this disc to spin. On an endless loop, I might add. If you love modern pop, the classic sound of ’60s Brill Building, and the poetic sensibilities of ’70s Laurel Canyon, then Jessie Baylin’s “Little Spark” will make your heart sing. From soulful orchestrations to quirky juke-joint sounds, it’s a treat from beginning to end. Any CD Shawn Colvin records will automatically be a favorite of mine. And last year’s All Fall Down—released at the same time as her memoir Diamond in the Rough—is no exception. She brought this, her eighth studio album, to Nashville and enlisted the great Buddy Miller to produce it. Always personal and poetic, Shawn sounds as great as ever. A sonic gumbo of sounds from The Big Easy’s most respected musicians infuse this soulful and sizzling recording by Ruthie Foster, garnering it a 2013 Grammy nod for Best Blues Album. With guests like The Blind Boys of Alabama and soul icon William Bell, Ruthie’s already powerful voice is sent soaring. Wow, great list Lydia, all really vital. and I’m lucky in that about half of these artists have all been featured at Edmonton Folk Music Festival at some point so I’ve seen most of them live. Makes me realise how lucky we are up here in Alberta. Absolutely Galley – Gretchen a great discovery for me, Dar’s one of my favorite albums. Shawn’s for me well below par I’m afraid. Great choices with the Gretchen Peters and Jessie Baylin albums, but Dar Wiliams’ “In The Time Of Gods” surely deserves to be near the top of the list! But where’s Kathleen and Dar? Love this List! ESPECIALLY RADNEY!! Yet another beautiful release from Shawn Colvin. I love her so much. I like the Bonnie Raitt too. The rest I haven’t heard yet, but I will! Agree with most of the above, especially Leonard Cohen. I would add “Nightflight” by Kate Miller-Heidke. In my own top 10, but I’ve seen no mention of it anywhere, at least in the western hemisphere. MCC – Brilliant in so many ways. “Another Home”, “What To Keep And What To Throw Away”, “Don’t Need Much To Be Happy” are three of what I call my ‘non single’ favorites, in that they probably won’t be released as singles – and the two on here that most likely would – “Chasing What’s Already Gone” and “Soul Companion” – but for me they are even better. What a fantastic album by a fantastic woman. I loved Leonard Cohen’s ‘Old Ideas’, songs “Darkness” and “Banjo” especially. His smooth “Anyhow”. made me snap my fingers and smile.